I am joining Susan Vernicek, founder of Identity Magazine to find balance in 30 Days. 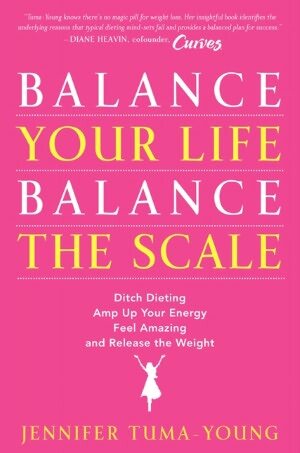 The challenge is inspired by the soon to be released (best selling) book by the remarkable Inspirista Jennifer Tuma-Young – Balance Your Life, Balance the Scale (HarperCollins). Heaven only knows I need B A L A N C E!!! I hope you will join us on this No-Judgement path to unclog our mind, let go of anything that does not serve us or the greater good, create a clear vision, confront issues and engage in a fuller life and so much more!!! When I looked at the above flower all pink and perky I realized that some the petals on my personal flower are a little droopy and a couple may have fallen clear off the flower. I feel like the universe has played a game of loves me, loves me not with my life…randomly plucking petals and tossing them asunder. UnBalanced for sure!!! However, I’ve been inspired by the Inspirista herself…enough to join Team Inspirista!!! And you can become part of that team too…just check it out!!! There are so many reasons I want/need to challenge myself to Balance My Life, Balance the Scale. I am starting bright and early Monday morning…I am a bright and early kind of gal…and Monday sounds like a good starting point…new week, new book, new me!!! Like Susan, I want this challenge for many reasons. My first reason is to find overall balance which I hope brings along with it a feeling of control in my life. That feeling has gone missing over the last few years!!! I want it back enough to really commit to this challenge to restore my flower to full bloom 100%. My second reason is wellness. It probably should be the first, but I don’t think I can even begin to crack wellness without some semblance of balance and control!!! I have not had health insurance since 2008. That means, I have not had any health care in four years…no wellness check-ups, no mammograms or pap smears, no prescription meds (before I had 2 standing prescriptions), no doctor who knows my history…none. It is a pretty scary place to live for a woman my age. Luckily I am pretty healthy…I think. Stability in my physical environment and career are in third. I lost this when I lost my job as editor of an arts magazine and my decorative painting business took a plunge because of the economy. These left me without choices for several years. Blessings started to pour in last year and I have managed to create income from this magazine, my radio show and my writing/social media skill set. Still I need to find balance here. Lastly, I want to bring fun and creativity back into my life. In the struggle to find a way to support my family, I placed these on the back burner. Thus, methinks, the main reason for overextended, overworked and overtired!!! Schweeeeooooooo…so go ahead an share your flower petal story below. Come join me and Susan and others who are leaping into the Balance Your Life, Balance the Scale Challenge Movement!!! Oh yeah…I know this will become a movement as soon as people get their hands on this book later this month!!! Jennifer will join me on Artistically Speaking Talk Show on September 23rd at 6:30 PM EDT!!! Don’t miss it!!! This is a great time to balance things… before those crazy holidays hit! I will be joining you and I can’t wait. You will truly love Jenn’s book and her BALANCE techniques! Take it from someone who’s worked with Jenn very closely as I took her 30 day challenge. I shed lots of clutter in my life and added in what keeps me happy and passionate and fulfilled! Oh, and 47 pounds shed too! Jenn is fully connected to her passion to provide real life techniques for women to take control of their lives and embrace what we were born to share with the world . Definitely keep the journal and work through those techniques. They WORK! You will enjoy this ride, so put your seatbelt on, and keep your pen and journal accessible! Best of success to you Rebecca!